“In order to make change, everyone has to agree there’s a problem to solve in the first case,” says Anna Ingler, co-founder of the Upfront Producer Network, which represents 100-plus female and gender-nonconforming producers in Sweden. Introducing the EQL Directory, powered by SoundGirls and made possible by Spotify. The EQL Directory is a global database of professionals that seeks to amplify the careers and achievements of women working behind the scenes in music and audio. Any person around the world can add their name and claim their space. And, any person looking to hire a more inclusive creative team can find professionals in their area. 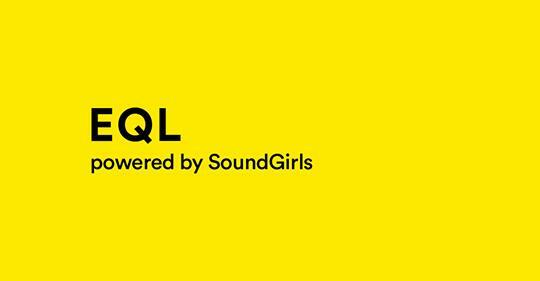 The EQL Directory was made possible through a partnership between Spotify and SoundGirls, a nonprofit founded by Karrie Keyes and Michelle Sabolchick Pettinato dedicated to expanding opportunities for girls and women in music. “SoundGirls already had this global directory of women in audio and production, and we were excited to support their organization and initiative by helping them make it more beautiful, more useful, and more visible within the industry,” says Kerry Steib, Spotify’s Director of Social Impact. The EQL Directory is also made possible through collaborations with organizations who provide resources to women in the field, whether that’s educational programs or networking opportunities. Visitors to the EQL Directory can find resources from initiatives and organizations like the Audio Engineering Society, Beatz By Girlz, female:pressure, Gender Amplified, Girls Make Beats, Instituto Criar, Secret Genius, shesaid.so, SoundGirls in Mexico, The Equalizer Project, The 7% Series, Upfront Producers Network, and the Women’s Audio Mission.